My guess; at the end of the expansion, as we have been focusing on fighting each other, the Black Empire will be unleashed. Even if we defeat N’zoth, all his planning and patience will still come to fruition. And before you say “Just remove it” I’d like to accept it on at least my main and then get the toy on an alt. 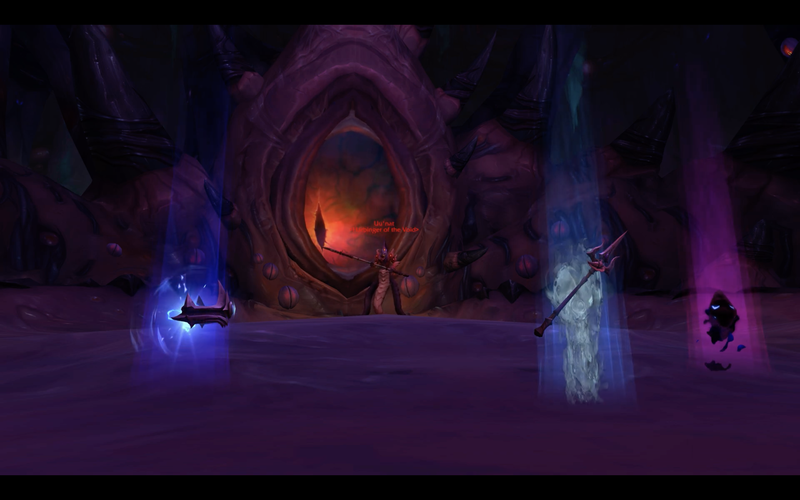 I get the sneaky suspicion that Azeroth will die… and it would be her champions’ fault. Our fault. Theres also the chance that those Relics hold beings similar in power to Xalu2019atath, but theyu2019re slumbering.